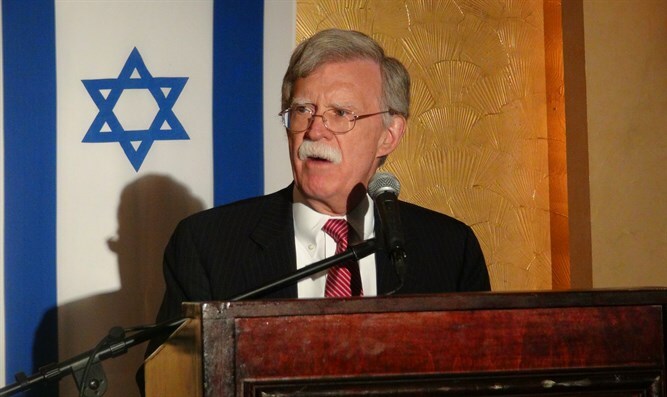 Former US Ambassador to the U John Bolton spoke to Arutz Sheva about Jewish rights in Jerusalem at the annual dinner of American Friends of Ateret Cohanim Jerusalem Monday night. "I think it's a basic human right" for Jews to purchase homes from Arabs in Jerusalem, Ambassador Bolton said. "As long as you have a willing willing seller and a willing buyer, the notion that Jews can't buy property in the Old City, in Jerusalem, in any of the former British Mandate, frankly, is unacceptable." "There is no issue here of pushing anyone out. It's a question of what willing participants in the market want to do," he added. "When you consider that Jerusalem has been reunited, that it is never going to be divided again, how is it possible that Jewish citizens of Israel can't buy property in the Old City?" he asked.